A pivotal road matchup late in the season against a conference rival with the hopes of the season hang in the balance in a tight conference race. In the final seconds, with the Brown and Gold trailing 90-89, senior guard Nick DePersia knew his team’s chances all came down to this moment. With 9.4 seconds remaining, DePersia pulled up for a contested three-pointer. The ball sailed through the air, time seemingly standing still as the Rowan bench looked on. It could have clanked off the rim, sending the squad home disappointed and having Montclair State tie up the second seed. But that’s not what happened. Not this time. DePersia’s shot didn’t just go in, it hardly touched rim. For a supremely talented and versatile squad, the Profs enjoy keeping their fans on the edge of their seats. 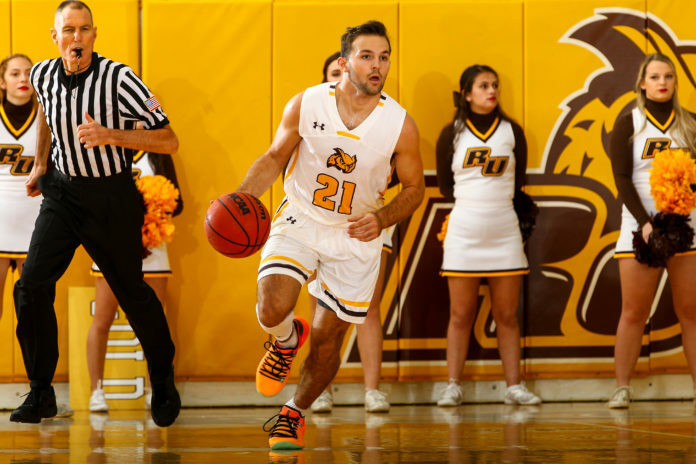 Entering last Wednesday’s contest against the Stockton Ospreys, however, the Brown and Gold were beaming with confidence despite coming off a difficult loss to Ramapo College prior. 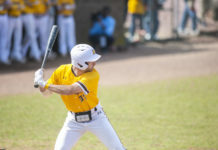 The game was a tough setback as Rowan fell into a two-way tie with the Roadrunners for second place in the New Jersey Athletic Conference (NJAC). 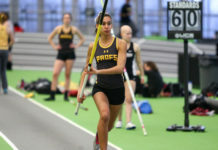 Only a week later, the Profs solidified their hold on the second seed in the NJAC with a thrilling comeback win against Stockton University prior to the aforementioned victory against Montclair State University. That makes two big time comebacks in under a week. During Saturday’s comeback win at Montclair State University, Rowan trailed by nine at halftime before going on a 56-point tear to secure the victory on the last second shot. In both contests, the opposition shot well from the three-point line, presenting unique challenges for a Profs team who is used to dictating the game with their own three-point shooting. The Brown and Gold will look to continue their winning streak when they face off against William Paterson University in Esbjornson Gymnasium at 8 p.m. Wednesday night.